The El Pollo Loco Secret Menu offers a few standout meal options and a few modifications to current menu items. This menu may not be as extensive as the Taco Bell secret menu, or any of the other main Mexican fast food secret menus. But it’s worth a look nonetheless, as there are some surprise treats in store. 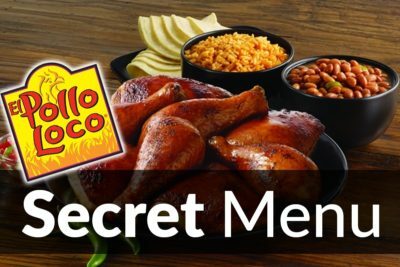 What is on the El Pollo Loco Secret Menu? The Smokey Mountain Black Bean Burrito looks familiar, and that’s because it was once available on the El Pollo Loco full menu. It didn’t last though and these days it’s just a memory for many. 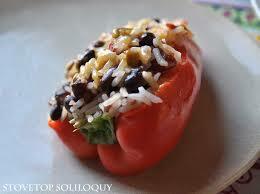 One of the main ingredients here is black beans, and these are sparse on the modern El Pollo Loco menu. As a result, this menu item will probably never make an official return. But those little beans are available if you ask, and that means this secret menu item is still available if you know what to ask for. The secret code in this case is just to order a BRC Burrito with an extra helping of black beans. For a long time, Fish Tacos were somewhat of an El Pollo Loco myth, and one that was absent from the full menu and the secret menu. That’s because they were in production and had been rolled out in some restaurants, but not all of them. 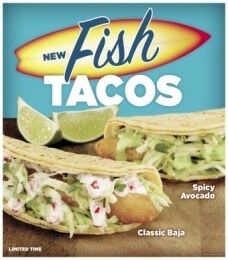 These days you can find Fish Tacos in all El Pollo Loco locations. Some locations advertise them on the menu, others do not. In either case, just ask and you will get. These tacos make for a great and healthy version of the traditional chicken tacos. We’re always being told to eat more fish, and this is the perfect opportunity to do just that! Exactly what it sounds like, this is a healthy alternative to greasy breaded or “crispy” chicken. The chicken at El Pollo Loco is already some of the best you can find, but once you cut the skin out of the equation, over 50 percent of the fat is reduced. That makes for a lot of protein, a little fat, and a delicious meal! You can’t argue with that. For an easy modification to standard menu items, just ask for “carb-free”. 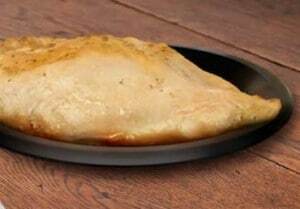 This typically just means a standard menu item but without the tortilla, allowing you to enjoy your meal with a little peace of mind! El Pollo Loco also offers sides that are dense in nutrients and protein but are low in carbohydrates, such as mixed veggies, a side salad, or black beans. 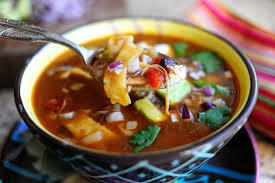 As the name indicates, this dish is simply a quick modification on the already-delicious Chicken Tortilla Soup. It appeals to those brave carb-free dieters, as it’s all the soup, but none of the tortilla. Try out this dish if you want the flavor of the Chicken Tortilla Soup, but not the texture and the filling carbs that come with that extra tortilla. Just ask your server to hold the tortilla when you order a Chicken Tortilla Soup.